On reviewing the latest versions of some direct private motor policies the LMI PolicyComparison team brought to my attention that a couple of new exclusions have been introduced. The previous versions of the wording did not have an exclusion for reckless acts at all, but this has changed. What is most significant is the new version of the policy specifically states that the insurer will not cover driving into water or illegally using a mobile phone. Interestingly the policy in question is marketed to the older generation, who as a generalisation, and at the risk of being called politically incorrect, would be regarded as being less likely to engage in risky behaviour. Another observation I would make is that I agree that using a mobile phone, particularly texting or doing emails on them while driving, does in my personal experience, increase the risk of an accident. I have written many articles on the subject of driving while texting in particular and even suggested it should be an exclusion. See this article. Whether using a mobile to speak on while driving is in the category of a drink driver (exclusion) or a speeding driver or someone who runs a red light (insured) I am not sure. Thinking about it, there is a difference. You can accidentally go over the speed limit by just missing a change of speed sign (even when not on your mobile phone) but picking up and using a mobile phone is a deliberate act. The driver is making a conscience decision to increase the risk of an accident, albeit like most they will think that this applies to others using phones but not them! With the driving into water, this could be a deliberate act or on a dark night it could be a complete accident because you cannot see it in some circumstances. This one is certainly more messy than the first. At this stage, this endorsement has not found its way into any broker branded wordings but the introduction into this direct offering could be to test the water and it may become common place. One point to keep in mind with the exclusion, particularly the one regarding using a mobile phone. Not only does this mean you have no coverage for your own car, you have no third party property damage cover for any other car, or property you may hit. Using your mobile phone could be life changing in more ways than one. Interesting times but the messages here are a common one from me. You /your clients should not purchase insurance on price alone. The coverage, the financial strength rating and the claims rating of the underwriter are to me much more important when you wish to rely on the protection. If you are in doubt, you should seek the advise of a qualified insurance broker. 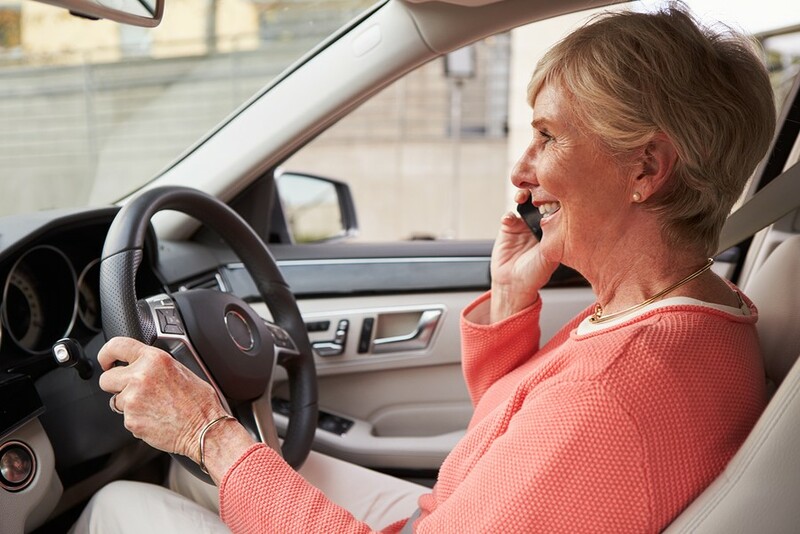 Equally important, driving while using a mobile phone, particularly texting does expose the driver, passengers and those around you to increased danger. If it is that important to make the call or check your Facebook (or read this post), pull over and do it safely! Finally, I would like to thank the great team at LMI PolicyComparison.com for bringing these new exclusions to my attention so quickly so that I in turn can advise you. I hope it isn’t the insurer whose ad depicts a car dragged into water from backing in a boat too far. Interesting. I would be concerned if this increase in exclusions was to have effect of shifting risk and cost to NDIS and at same time lessening exposure of insurer ears. I hope the result will not be effective to shift more risk and cost from insurers to NDIS. It is not going to effect the National Disability Scheme. The motor policy only covers the vehicle itself and third party property damage. Third Party injury is addressed by Compulsory Third Party Insurance which is insured with the vehicle’s registration and as such is completely separate.